Are You Looking for The Best Home-Based Jobs for Introverts? Here are some of the best side hustles for introverts that we have found! Working from home is a natural fit for introverts. Introverts tend to be quiet, thoughtful, cerebral, and even shy. But as they say, still waters run deep and introverts often bring many great skills to the table! Fortunately, there are plenty of great home-based jobs for introverts. In fact, introverted personalities are often self-motivated, dedicated, and driven. They go in and quietly get the job done. They don’t get bogged down with social drama and the business of others. Some introverts even find social interaction draining or tiring. They thrive on independence and solitude. Because of all these factors, home-based jobs are a natural fit for introverts. Finding great home-based jobs for introverts isn’t terribly difficult, but if you want to avoid the dreaded interview process (naturally stressful for quiet personalities) you’ll need to tap into your entrepreneurial spirit. Many home-based jobs for introverts require you to be your own boss and forge your own path. So if you’re ready to work from home here are the best home-based jobs for introverts to explore! Disclosure: Please note that some of the links on this page are affiliate links. This means that we may earn a commission, at no cost to you, if you decide to make a purchase after clicking through the link. Please understand that we have experienced all of these companies, and we recommend them because they are helpful and useful, not because of the small commissions that we receive if you decide to buy something through our links. Please do not spend any money on these products unless you feel you need them or that they will help you achieve your goals. Enjoy the best side hustles for introverts! Are you quick to notice typos and mistakes? Are you a bibliophile who loves to get lost in great writing? Are you comfortable working with words? Proofreading is the perfect fit for you! There are many wonderful opportunities for experienced proofreaders…and building up your experience isn’t too difficult either. Proofreading can become a full-time gig or supplement your income nicely as a side hustle. One of the best ways to get started is to take a class on proofreading. Caitlin Pyle’s Proofread Anywhere is hands down, the best course we’ve found on proofreading. It takes you through the process from start to finish and will tell you everything you need to know to successfully build a proofreading business. Check out this FREE masterclass webinar that Caitlin recorded to give you some of her freelance proofreading secrets ! Proofreading is one of the best jobs for quiet people, because it allows you to really work independently and at your own pace. You can literally proofread anywhere—from a beach, to a coffee shop, to the sanctuary of your home. Proofreading stands out among the best home-based jobs for introverts. If you want to express yourself, but prefer writing to conversation, blogging is one of the best creative careers for introverts. Many people fear blogging is difficult or worry the online market is too saturated these days, but this perception couldn’t be further from the truth—you simply need to find your niche. If there’s a topic you feel impassioned about, blog about it! The best practice for a successful blog is to choose a topic that’s very specific, unique, and one you know a lot about. So, what is your area of expertise? Someone is out there waiting for your message! If you need help getting started with the logistics of setting up, check out our tutorial on starting a blog. 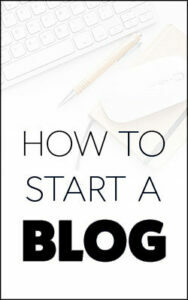 We’ll walk you through each step to setting up your blog and starting out on the right foot. Don’t worry—it’s easy to set up a blog with nearly no upfront investment. You don’t need tech expertise, either. There are plenty of user-friendly tools out there and free blogging resources to help you troubleshoot any issue. If you aren’t sure blogging will really pay off, take a look at our blogging income reports. Blogging can definitely turn into a lucrative and fun full-time gig. So if you have a great message to share, start a blog! Blogging is a home-based job perfect for introverts and a top choice in jobs for quiet people. If your dream is to work from home and you love writing, there’s no reason to feel afraid of starting your own blog. Blogging is one of the best side hustles for introverts. If you love writing, but don’t always love coming up with new blogging topics and ideas, consider freelance writing. There are plenty of businesses and online magazines looking for contributors. Freelance copywriting includes posts for social media, advertising and marketing copy, and web writing. Long-form freelance writing may include researching topics and writing posts, whitepapers and eBooks on varied topics. The pay varies based on the content you’re writing, your experience, and level of expertise. Some companies pay per article, while others pay per word. 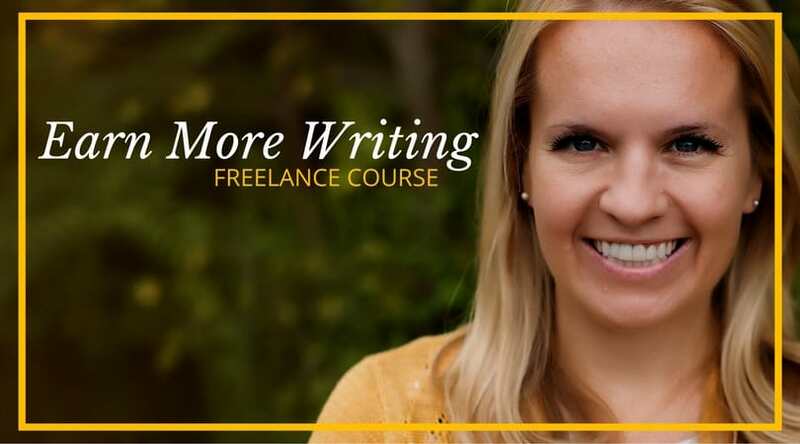 Check out this awesome freelance writing course and FREE webinar about how Holly Johnson makes $200,000+ a year with freelance writing! If you’re interested in freelance writing, there are many great resources with plenty of freelance writing jobs for introverts. There are many freelance writers who have built their job into a full-time, high-paying career. As you build up your portfolio and experience, take on more challenging and higher paying gigs. Freelance writing is a seamless fit with other great jobs for quiet people like blogging and proofreading. You may find you enjoy contributing to other blogs, proofreading articles for companies, and writing for others through freelance gigs. When you’re working from home, you can choose the path and jobs that fit your schedule and preference. The FBA program (Fulfilled by Amazon) provides sellers a unique opportunity to distribute and sell products using Amazon’s leading distribution service, Prime. The process is a little complex at first, but once you get the hang of it, it’s one of the most lucrative home-based jobs for introverts. The first aspect to know about selling with Amazon FBA is that you don’t need to create your own products. There are millions of products available at a discounted wholesale rate. As the FBA seller, it’s your job to select the best products, brand those products if you choose, promote and advertise them. Amazon does the storage, distribution and delivery of the products, so no worries about running to the post office or dealing with delivery headaches. Your job is simple (and best of all for introverts, you don’t need to talk to people face-to-face to work as an Amazon FBA seller). With Amazon FBA it’s all about strategically selecting the best products to fulfill a demand. Research the rankings of certain products to select those that appeal to buyers the most. While Amazon FBA is a new and quickly changing home-based job, it’s a great fit for those who enjoy researching products and following markets. Similar to selling with Amazon FBA, eBay selling is one of the most popular home-based jobs for introverts. Selling on eBay is a little different however, because you’re typically required to find, photograph, describe, and ship the product yourself. Many of the top eBay sellers do well because they’ve found a special product niche they know. So what products to you feel passionately about? With eBay you aren’t limited to new products only (like Amazon FBA). In fact, eBay is known for being the best place to find great vintage and second-hand treasures. If you love thrift-store finds, vintage records, collectables, or kitschy knickknacks, eBay is a great spot to flip items. Keep in mind that building an eBay business often takes time, because you’re working to build your ranking and seller reputation. Use the opportunity to supplement your income with another home-based gig, like proofreading. In the meantime, if eBay selling sounds interesting to you, start researching the process and building your product knowledge. Explore how other successful eBay sellers build their business. Selling on eBay is one of the best home-based jobs for introverts. Testing websites is one of those home-based jobs for introverts that sounds much more difficult than it actually is. The first misconception about working as a user-tester online is that you need a technical background! In fact, most website testers don’t have any sort of technical background at all. Blogs, business websites, retail, and ecommerce sites are always looking for testers to ensure their site is working properly for users. The requirements for a website testing job, is usually to wear a headset and microphone, as you record yourself going through the site. There are various types of website testing. Some testers may check to assure links are working and visitors don’t encounter any errors when they use the site. Other testers are simply asked to give their impression of the site and their thoughts on the interface and “look” of the website during their visit. Website testing provides bloggers and businesses with valuable insight about their website. They learn how easy their blog is to read and how new people engage and interact with their content. The feedback and information testers provide helps website owners better reach customers and clients. If you don’t mind recording your voice as you talk your way through your computer activities, user testing is a great work-from-home job for introverts. Sites like Swagbucks and Survey Junkie allow you to earn extra money by completing surveys and offering feedback on products. Survey sites often pay users to play games, watch videos, and even to use their browser. While the pay for many of these activities isn’t extremely lucrative (most users earn under $200/month) it’s still a fun way to generate side income. Online survey companies offer excellent jobs for shy people to explore. Most of the time there’s very little social interaction required and many of the activities are simple and fun. There’s not much training required either. A simple tutorial video is typically all you need to get started. If you’re looking for a side hustle to supplement your income or an online activity to pass the time, check out Survey Junkie and other similar survey-type companies. It’s interesting work and one of the easiest home-based jobs for introverts. The best side hustles for introverts are sometimes the easiest to get started with! Are you financially minded? Do you enjoy watching the market and making predictions? Trading stock is another home-based job for introverts, that allows you to explore a different, often interesting, and challenging career. Get started by investing less than $100! We recommend you get a free stock trader account using the RobinHood app; otherwise you’ll typically get charged $6/trade, which adds up fast. There’s risk involved in trading stock, of course, but it’s also quite a lucrative side-gig. Start out with a low risk investment and work up to higher investments and larger payoffs. We outline all you need to know to start trading stock right here. If you enjoy the financial world and following the stock market, then trading stock may be a great career path for you! Supplement your income with another great job for introverts, such as proofreading or blogging. There are plenty of jobs for introverts, that don’t require you to be outgoing, talkative or social. Work from the comfort of your home, set your own hours, and communicate with people online. For many shy people, these job opportunities are a more comfortable fit. Stock trading is one of the best side hustles for introverts due to the unlimited profit potential! So if you’d like to work from home, don’t worry! It’s simple to find a career suited to your personality and preferences. Check out these great home-based jobs for introverts today! These are the best side hustles for introverts that we have used – do you have any recommendations? Interesting article, thanks for the helpful insight! Hi Abigail, thank you! I am glad you found the home-based jobs for introverts helpful!